The Tea Party Response To The State Of The Union….Hey Michelle, The Camera Is Over Here. With the State of the Union Address behind us the country can decide how they chose to interpret the message the President gave. But what will they think of the message or to be more specific, message(s), that the GOP gave in response? In this authors humble opinion it may not have been the proper strategy to put forth 2 messages from 2 different GOP Representatives to one message given by the President. A message which was built up all week under the premise of coming together as legislators to govern. The Republican’s couldn’t even come together for a common response. The opposition party traditionally delivers a speech following the president’s address. 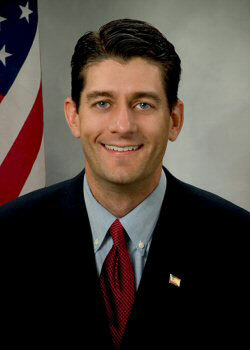 GOP leaders selected Republican Rep. Paul Ryan (Wis.) to offer this year’s official Republican response. 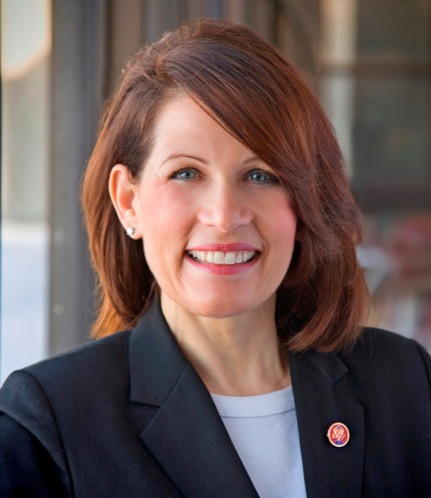 But the Tea Party Express, a national small-government group, asked Minnesota Rep. Michelle Bachmann to deliver a separate tea party response via its website. The speech was also carried live on CNN, who has never been known to be a GOP friendly media outlet. I believe Paul Ryan did a good job in the ‘official’ response. He pointed out the spending that was proposed by the President and the fact that we were told the same things the last time around. He was candid and at the same time was optimistic that both sides could do what was right for the country. Realistic? If history repeats itself, probably not, but it is what America wants to hear. Ryan did a good job in being firm yet not too confrontational on a night in which the country saw a show of unity within the halls of Congress. He gave a general direction of where we are at and where the GOP wants to take us and he did it with style. Bachmann’s response was a bit more confrontational. She did not appear to be looking at the camera at any time. Whomever filmed the speech did a less than stellar job as she never once looked at the people whom she was addressing, and in my opinion, came off as a bit more rhetorical where as Ryan came off as more sincere. It was poor planning by the Tea Party Express. In a time dedicated to unity in the wake of the shooting of Rep. Giffords the second ‘un-official’ Tea Party response may have appeared to some that there is a huge split between the Republican party and the Tea Party. And after the responses to tonight’s State of the Union…Michelle Bachmann did not do the Tea Party any favors. In my opinion it may have been damaging in the long run. It seemed disconnected in more ways than one. But then again, the Tea Party has been never been considered part of the GOP establishment and in most instances, and it hasn’t seemed to hurt them.